I hope this topic isnt too far off, bc im not really building anything, but i have been putting together some videos of my first year experience at burning man, i will be posting part 5 tonight (which highlights the burning of the man) i will probably have 7 parts all together. i just wanted to try and get them out there for the community to see. 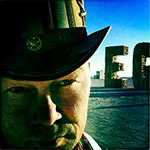 Moving this to the Experiences at Burning Man forum. here is part 6, it is the temple burn, it is very sad. Even though I posted this in the Meet & Greet thread, I wanted to post it again here for those who didn't go to the M&G or just didn't care enough to read it. I have four videos, about six minutes total (they are safe for work), of the Thursday night Meet & Greet at Barbie Death Camp. If you would like to have them sent to you, shoot me an email at: james.jacoby@wellsfargoadvisors.com and I would be happy to send them along. Many, many ePlayans are in it, from Graidawg to Savannah. 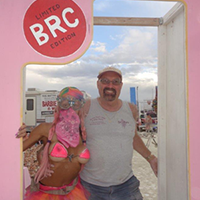 thecrunkbabe wrote: I hope this topic isnt too far off, bc im not really building anything, but i have been putting together some videos of my first year experience at burning man, i will be posting part 5 tonight (which highlights the burning of the man) i will probably have 7 parts all together. i just wanted to try and get them out there for the community to see. Thank you for these Jessica. I watched all of them... they were AMAZING! Thank you for these awesome videos, I left some feedback on youtube as well, but I wanted to say thank you again . I especially liked the temple burn video, it really captured the essence.